Is Applesauce an Alkaline Food? What Is the PH of Cranberry Juice? 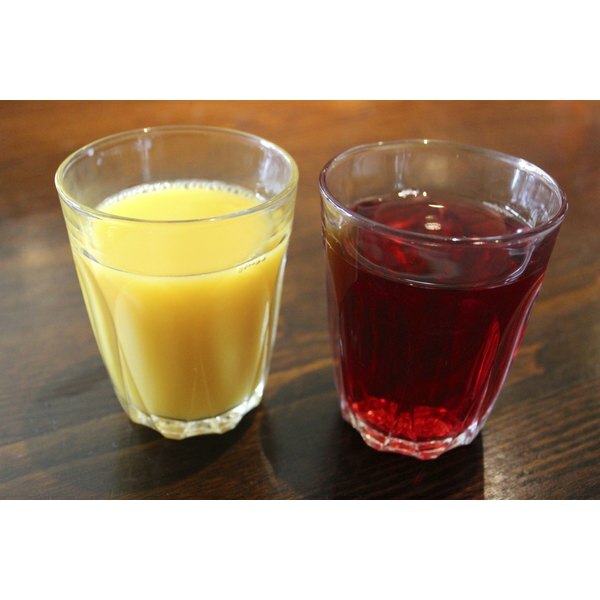 A glass of cranberry juice and orange juice. 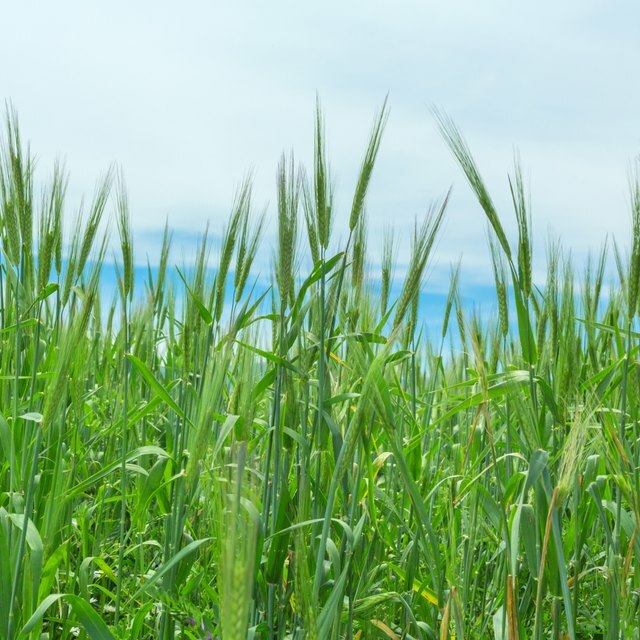 1 Is Wheat Grass an Alkalizing Food? 3 Is Applesauce an Alkaline Food? A food’s value on the pH scale offers a way to quantify its acid content relative to other foods and substances. On the scale, which runs from 0 to 14, pure water is neutral and has a value of 7. Acidic substances are valued below 7, while basic, or alkaline, substances are valued above 7. Most foods contain enough organic acids to give them acidic values on the pH scale; many fruits and most vegetables, dairy products, grains and meats have slightly acidic values and are considered low-acid foods. High-acid foods are valued below 4.6. Unsweetened cranberry juice is a high-acid beverage, with a median pH value of 2.4. Compared with cranberry juice, lemon juice is as acidic, lime juice is slightly more acidic and grapefruit juice is slightly less acidic. A food’s pH value doesn’t determine its pH nature in the body, because the metabolic process affects the type of compounds the food produces during its breakdown. Citrus fruits, for example, are high-acid foods that contain potassium citrate, a mineral compound that’s metabolized into potassium bicarbonate. Because bicarbonate is highly alkalizing, citrus fruits are moderately to highly alkaline-forming in the body. Most fruits and their unsweetened juices are alkaline-forming in the body; however, cranberries and cranberry juice rank among the few acid-forming fruits and fruit juices. Along with plums and prunes, cranberries contain benzoic and quinic acids, which convert to hippuric acid in the liver and overpower any alkalizing compounds they produce. Fresh cranberries and unsweetened cranberry juice are excellent sources of vitamin C and good sources of manganese, copper, thiamin and potassium. Fresh, whole berries are also rich in soluble and insoluble fiber, which you can retain in beverage form by adding whole cranberries to a blender-made smoothie. Cranberries contain proanthocyanidins, or PACs, which prevent bacteria from adhering to the urinary tract, which is why cranberry juice is so effective in the prevention of urinary tract infections. Additionally, cranberries are loaded with phenols and other antioxidant compounds. According to “The 150 Healthiest Foods on Earth,” Catherine Neto of the University of Massachusetts-Dartmouth studied several compounds isolated from cranberries and found that they inhibited the cell growth of leukemia and lung, cervical, prostate and breast cancers. A long-term diet emphasizing acid-forming foods can result in chronic low-grade metabolic acidosis, a condition characterized by a slightly acidic body pH. Since cells and tissues require a slightly alkaline environment for proper function, metabolic acidosis can set the stage for numerous diseases and conditions, including cancer, chronic fatigue, inflammation and osteoporosis, according to “The Acid Alkaline Food Guide.” Although cranberries are one of the rare acid-forming fruits, their numerous health benefits make them a healthy component of many diets. Most commercial cranberry juice is high in added sugar, which decreases its antioxidant content and substantially increases its caloric content as well as it’s acidifying nature in the body. Therefore, it’s best to sweeten pure cranberry juice with naturally sweeter juices such as orange juice. Is Cranberry a Fruit or Vegetable? Must You Use Pickling Cucumbers to Make Pickles?